The start of October means the end of my short break and the beginning of my Work-based Learning. Oh Gosh, I am so SO nervous!! But before that, remember the 100% pass lunch for Assurance? That's what I'm going to post today. The last time I posted about Hell Semester, I promised to post about CFAB's Work-based Learning (WBL) application process so that the future CFAB-ers will not freak out, like how my classmates did. The whole process is divided into 5, which are the firms visit, application, assessment, interview and acceptance. I actually posted this in a separate post. Here's the link. This is actually a perfect time for you to assess the companies, whether you like the companies' environment, the culture, the people, and etc. So make sure to ask lots of questions and make a good first impression to your future employers. Here's another post about cafe. This time is - Flingstones Cafe. 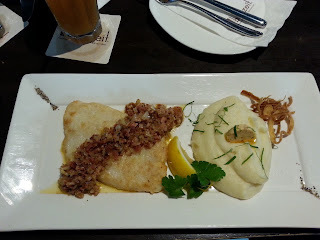 This cafe caught my attention as it posts lots of interesting food on Facebook, especially food with pork as their main (It's hard to find a cafe that serves pork dishes that I can afford nowadays...). To my surprise, its location is around somewhere I know and by chance, I found this restaurant when I was on my way to fetch my friend last Sunday. So, I decided to crash into the cafe. Flingstones Cafe has a great ambiance and is a higher end cafe compare to the cafe I went last week. Bored of the usual cafe? What about a theme cafe with art as a theme? 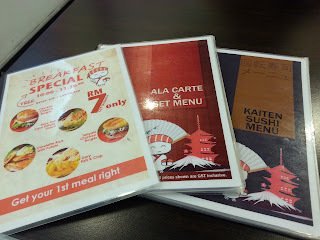 By chance, I found out this restaurant when I walked home from my usual Japanese Class. 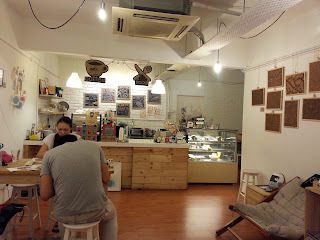 95 Degrees Art Cafe , previously known as Ode Art Cafe~ Sounds good to me. 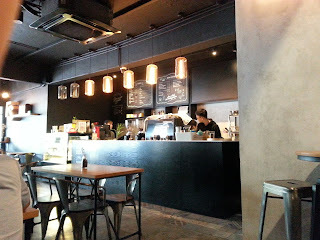 Thus, I invited my "long time no see" friend to go to the cafe to have some chit chat. 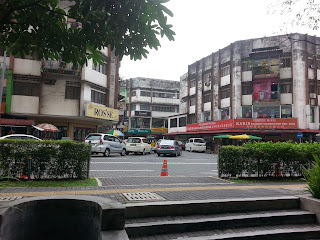 It is a cafe located in SS 15, right in front of Subang Square and it occupies the upper half of a shoplot. It is a friendly cafe with an excellent ambiance. As you can see, the shop is filled with arts, lots of them. If I am not wrong, the arts are drawn by the owner themselves. This is because, as I arrived, I saw the owner drawing a picture similar to the pictures on the floor (the first picture, if you can see...). Not only that, the cafe is filled with many creative things. Go visit the toilet! The toilet is not a "high class" toilet, but is one of the creative toilets that I have visited. Now, to the food we ordered. It is finally my holiday!! The one semester sure does take a long time. So, what to do after the "long" and tiring semeseter? Lots of shopping, of course! So yesterday, it was my first time going to Kenanga Wholesale City (thought of buying some cheap clothes for working as they are expensive...). However, as per the name of the city, it is a "wholesale" city, meaning you must buy the same clothes in bulk (which is why my friend told me to bring a bunch of friends...). So, it was a disappointment for me. Thus, my advice is to bring your friends (many of them) who share the same style of fashion with you. My 5th semester is finally over!! Thanks to my wonderful classmates that always help me, I successfully passed all the 6 papers. Yippee!! In addition to that, there are Work-Based Learning (WBL) matters to take care of (which I will cover in my next post). 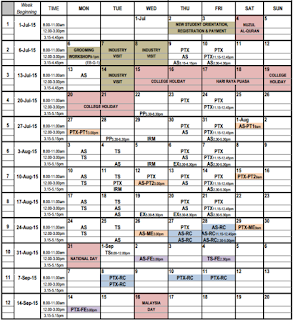 All of these have to be completed in 2 and the half months (including one week Hari Raya holidays and weekends, so the exact days are probably less than 2 months). It might seem nothing to those who do not experience these, but to those who did, it is a one hell of semester. A heartbreaking and painful romance written and illustrated by Aoki Kotomi. About: This story is about Takuma Kakunochi, an athletic boy who is diagnosed with a serious heart disease since he was young. Because of this, he is not able to do heavy exercise and is always confined in the hospital. However, he met Mayu Taneda, his doctor's daughter and immediately becomes close friend. At the age of 8, Takuma even promised to Mayu that he will marry her at the age of 20. And that's how they fall in love deeper with each other. 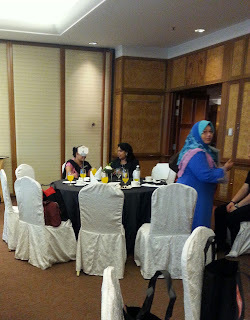 On the 7th, I went to help out at the ICAEW High Tea which is held at Sunway Resort Hotel & Spa. The main purpose of this event is to promote ICAEW to the school counsellors aka representatives from 30 schools around Klang Valley (I actually thought the representatives are students, so it actually gives me a shock as I have no idea how to interact with teachers). It was actually a one day event for the counsellors but not for us volunteers (Oh, there are a total of 7 volunteers, including me). Hello, peeps! It's my final examination period (2 more weeks to end my hell semester) YAY! After Assurance finals, I went out to have a short date with my sister. As I had not have any lunch for a long day after eating my breakfast (around 6.45 a.m.?? ), I was literally starving, which is why the idea of having a date - dinner date. And so, my sister took me to her favourite restaurant - Sushi Flash, a cheap sushi restaurant in SS 15 (compared to other Japanese Cuisine), as I have not tried it. Sushi Flash is a kaiten sushi, where the sushi are placed on a conveyor belt. Now to the answer, "How cheap is it?". Let the picture answer it.